Mr. Lionel Dufaux, responsible for the Energy and Transport collections. 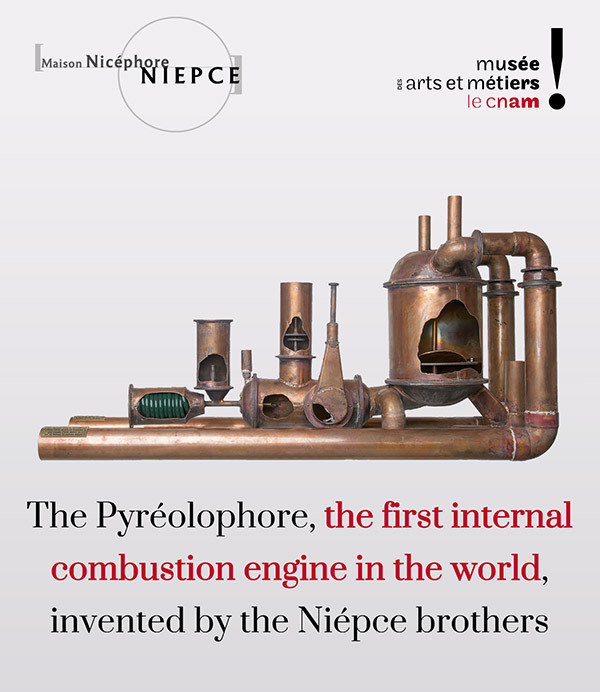 After 20 years years of research, Spéos and the Nicéphore Niépce House‘s team have officially proven that the invention of Nicéphore Niépce, named the Pyréolophore, is the first internal combustion engine in the world. The official presentation was a great success with more than 200 persons coming to this event! Mr. Francis Debras, Saint-Loup-de-Varennes’s Mayor.